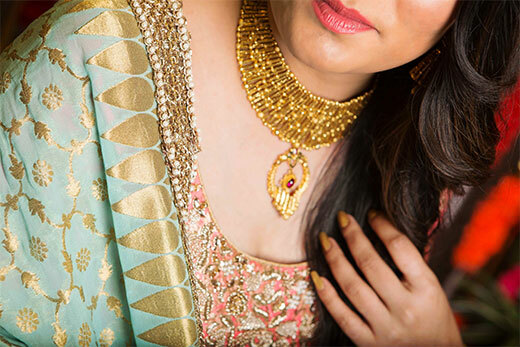 Three resplendent brides to be were given the ultimate pre- wedding experience as Wedding Sutra on location paired wedding fineries with glamour of the Azva bridal jewellery collection. 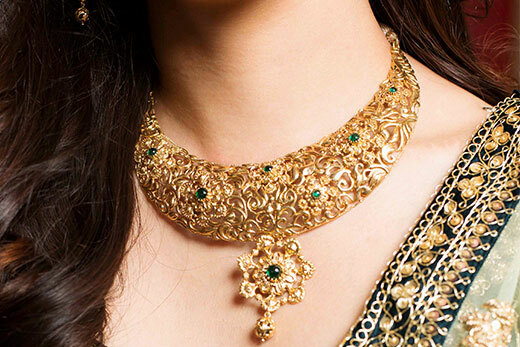 Bride Khushboo Bhatia was styled with a statement choker in textured gold, matching pair of earrings and layered cocktail rings with kundan and vibrant beads for a contemporary bridal style. 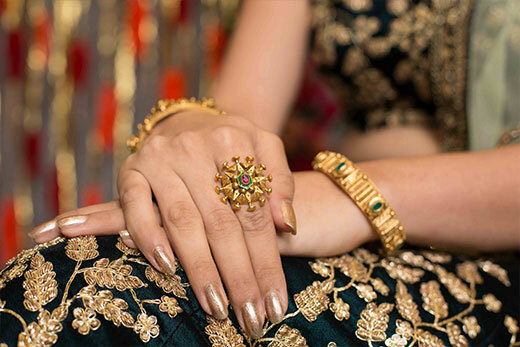 Shivani Naik wore her dark green lehenga with a gold necklace of seven flowers and cascading vines, a floral pendant and earrings with green stones to match. 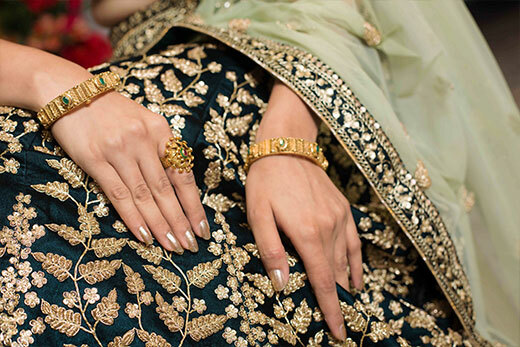 The pair of bangles with engraved ridges and a kundan, finished the look, while a peacock statement ring with spokes sat on her fingers. 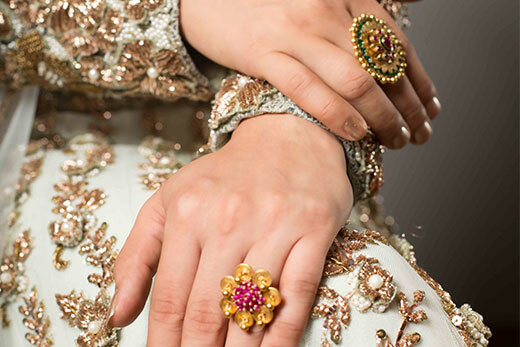 A subdued route with pastels, Shristi Bhanaga�s bridal style was create to let the gold jewellery be the statement. A contemporary choker with textured ridges of gold, interspersed beads and a pendant with a red drop. 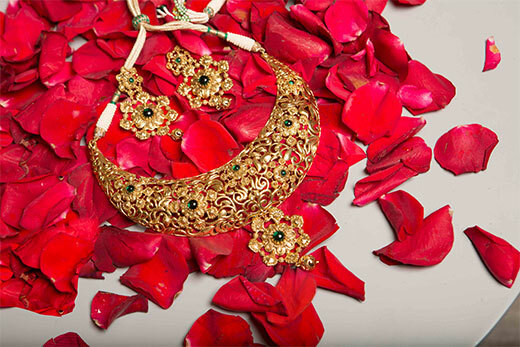 The contemporary jhumkis and stacks of gold bangles with engraved vines completed her elegant bridal look.